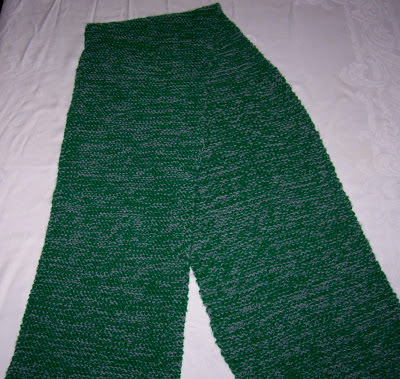 This post features my knitting projects! I am knitting shawls -- just the knit stitch all the way through, with two strands of yarn, each a different color, producing a sort of tweed effect. I'm using 25% wool / 75% acrylic yarn. Each shawl takes three 200-yard skeins (100 grams, or 3-1/2 ounces, per skein) of each color. 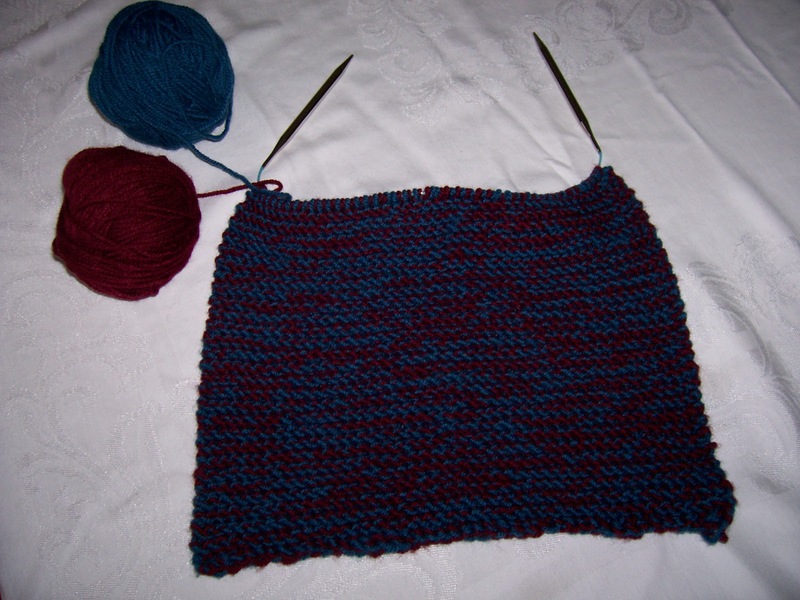 I'm using size 11 knitting needles, and I get about 4-1/2 stitches and about 4 rows to an inch. Below, you can see photos of four shawls: two shawls I have knitted, the shawl I am currently knitting, and the next shawl I plan to knit (well, just the yarn for this one). My first shawl (completed) is green and gray. It has 40 stitches to a row. My second shawl (completed) is rust and cream, also with 40 stitches to a row. I'm not sure why, but I found these two colors quite relaxing to work with. My third shawl (in progress) is blue and maroon. This shawl has 45 stitches to a row. It feels quite different to work with two dark colors this time. I guess I would say it feels a bit wintery. 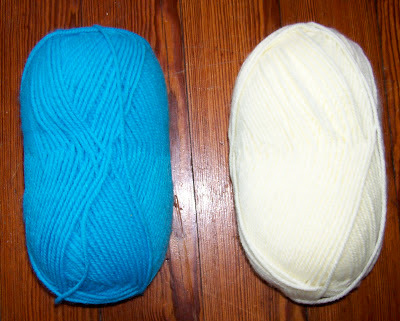 My fourth shawl (not yet begun) will be light blue and white. I really like these colors and can't wait to work with them! Thank you for taking a look at my shawls! I'm really enjoying my knitting projects!